Somerville was born on December 26, 1780, in Jedburgh, Scotland. She was the fifth of seven children. She was one of three who lived to be adults. Her father, William George Fairfax, was a vice-admiral in the Royal Navy. He would go on long trips away. Somerville's mother didn't try to educate her daughters; she thought that all girls needed to know was how to cook and clean. When Somerville wasn't doing household chores, she would often go to the seaside and the moors. When Somerville's father came home, he discovered that his ten-year-old daughter couldn't read or write. He sent her to a boarding school. By her teenage years, Somerville had become interested in algebra. Her parents got angry. They told her not to study it - they worried that studying mathematical concepts would cause her physical and mental harm. "Mary Somerville." Scientists: Their Lives and Works, UXL, 2006. Student Resources in Context. Accessed 31 Mar. 2017. In 1804, when she was 24, Somerville got married to Samuel Grieg. She found that marriage gave her independence from her parents. She began studying algebra. She had two sons, but her husband died in 1807. As a widow, she found more freedom to study and learned many more mathematical concepts. 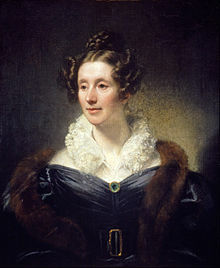 "Mary Somerville." Scientists: Their Lives and Works, UXL, 2006. Student Resources in Context. Accessed 31 Mar. 2017. In 1812, she married again. Her second husband was William Somerville. They had four children together. Somerville began experiments on solar radiation with her newfound support from William. She studied the sun's radiation effects on Earth's substances. In 1826, she published her first paper, "On The Magnetizing Power of the More Refrangible Solar Rays." She later published two more papers and two books. She later moved to Italy and started her third book. In 1848, she had a publication called Physical Geography. In 1860, her only surviving son died. Her husband died 5 years later. Somerville became sad. Her daughter told her to work on more writing projects. She did, but she wasn't in touch with modern science. She began to promote civil rights and higher women's education. She died at age 92 in Naples, Italy, on November 19, 1872. Oxford University named one of its colleges after her. ↑ "Mary Somerville." Scientists: Their Lives and Works, UXL, 2006. Student Resources in Context. Accessed 31 Mar. 2017. ↑ Adams, William D. "Somerville, Mary Fairfax." World Book Advanced, World Book, 2017. Accessed 31 Mar. 2017. This page was last changed on 16 May 2018, at 18:20.